FROM THE REPLIES OF MORE THAN 10,000 DOG LOVERS, I’M 100% CERTAIN THAT DURING THE FIRST 180 DAYS EVERY SINGLE PUPPY OWNER RUNS INTO 7 PROBLEMS RAISING A PUPPY. The early puppy phase is the most crucial phase in a dog’s life. Most behavior problems and traumas in dogs are caused in the first 180 days of a puppy’s life. This e-book serie ‘The Puppy Training Fundamentals’ will teach you everything you need to know in order to prevent behavior problems, traumas and the 7 most frequent problems with raising a puppy. This online puppy training makes raising a puppy seems like a piece of cake. This e-book serie is the most complete puppy training there is. It contains over 30 hours of puppy training with 10 e-books (500+ pages), many step-by-step guides and lots of questions and answers. I’m convinced that the Puppy Training Fundamentals will cover EVERY question you could possibly have during the first 180 days with your new puppy. As the number one dog school, with years of dog expertise at Tinki Academy, we’re determined to help as many new puppy owners (just like yourself) as possible with avoiding the 7 most frequent problems with raising a puppy and every question you could possibly have during the first 180 days with your new puppy. And keeping the price super low is the only way to make this happen. That’s why I have a huge discount today AND 100% no-risk money back guarantee. If you don’t like this e-book serie over the next 5 days, then we will happily refund 100% of your money. No questions asked. It’s that simple. Beware: This Could Be The Only Time You See This Offer! I've managed to put together this package of 10 HOT selling e-books for you. And on top of that, I am able to bring them to you at a significant discount. Buying all of these products elsewhere could cost hundreds of dollars, and dozens of valuable hours to track them all down. 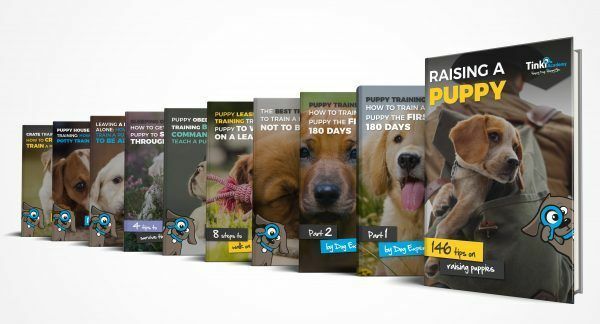 But with this limited time offer, you'll spend a fraction of the time and money getting 10 top quality e-books to start raising your puppy immediately. And, you'll even get lifetime access to the Tinki Academy (but I'll get into this more in just a moment). First, take a look at the e-books you'll be able to read once you purchase this e-book serie . . .
Trust us, the e-books are filled with secrets! With these 10 e-books there's no doubt that you'll tackle the 7 most frequent puppy problems and learn everything about the first 180 days with your puppy. The e-books contain countless step-by-step guides, beautiful design and EVERY secret for building the foundation that will last for the rest of your puppy's life. Buying all of these e-books individually could literally cost you hunderds of dollars. Many of these e-books regularly sell for upwards of $15 (and sometimes more). But you won't pay anywhere close to that today. But before I get to that, I forgot to mention that . . .
You also get ‘Lifetime Community Membership’ as a bonus! Buy this book serie now and receive lifetime membership for the Tinki Family. This means you’ll get an EXPERT dog trainer at your fingertips. 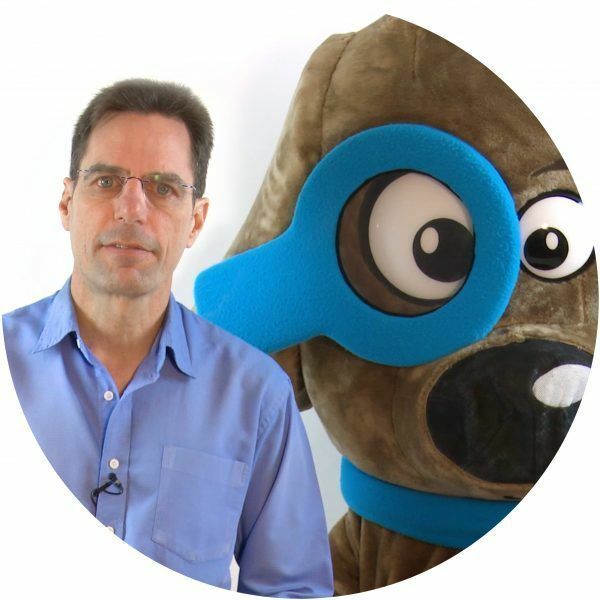 So in addition to the online training and the e-book, you’ll get a tailored solution to your puppy’s problem and get personal answers to your questions. That's right, you get everything you see here . . . everything you need to know how to avoid the 7 most frequent problems with raising a puppy and every question you could possibly have during the first 180 days with your new puppy. Because of the high quality of all of the e-booksinvolved, and the fact that you will be receiving lifetime community membership, I could easily sell this package at $189 (or even higher). But if you take advantage of this today, you won't pay anywhere near that. You can get all 10 e-books, plus lifetime community membership for just $49! That's less than $7 per product! And when you count in lifetime community membership . . . this offer is practically a steal! If you don't buy this book serie I hope you understand that this is a limited time offer, and if you leave this page without ordering, this offer could be gone forever. After you place your order, you’ll receive the 10 e-books and access to the Tinki Family (lifetime community membership) directly.